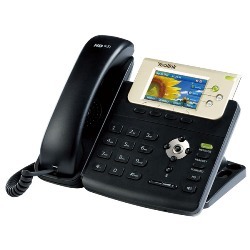 Yealink offers some very cost effective IP Phones. The entry level phones are some of the cheapest available on the market while still offering a full business-grade feature set. 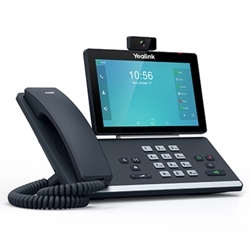 Although not as well known as some other vendors such as Cisco or Polycom, Yealink products offer a great value proposition and should be evaluated as part of your phone selection process. Instead of drowning you in the details of every single feature of these phones, we have looked at what the key unique features of each model are and how they are different. 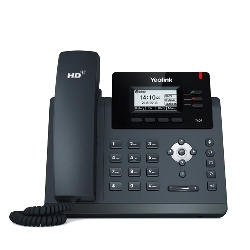 It is not immediately obvious what the differences are between models when you visit the Yealink site, so the following tables will give you a really good idea of which model you should select. 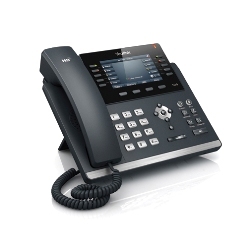 For clarification, the number of SIP accounts that a phone can support refers to the total number of separate phone lines that can be used on the device. 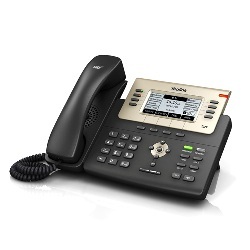 There is actually only one model available in this series, the SIP-T18P. 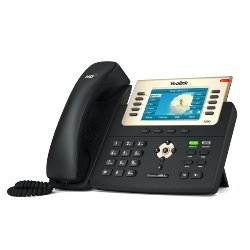 It is a fairly basic one line phone that has interoperability with leading IP-PBX and soft switch developments and includes PoE and auto provisioning. 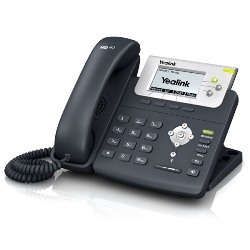 This model is no longer available or supported by Yealink and is fully EOL (End Of Life). As a result the T1 series no longer exists. 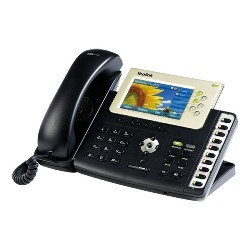 These are popular models that are used with hosted VoIP solutions. The series consists of seven different models, all with similar features except for the number of lines available and the display type. 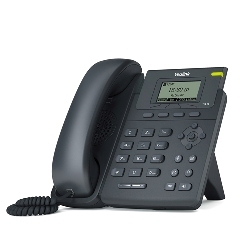 The model numbers are SIP-T19P (IP and E2 versions), SIP-T20P (EOL), SIP-21P (E2), SIP-T22P, SIP-23G, SIP-23P, SIP-T26P, SIP-T27P, SIP-T28P and SIP-T29G. The available lines range from 2 to 6 depending on the model while the screen resolution ranges from a smaller 2.7" low resolution screen on the T20P to a high resolution, 4.3" inch display on the T29G. Expansion modules (EXP20 and EXP38) are only supported on the T26P, T27P, T28P and T29G. The two options that are available in this series (T-32G & T-38G) both offer color displays and gigabit Ethernet connectivity. The higher end T-38G features a 4.3 inch screen and 6 lines while the T-32G features a slightly smaller 3 inch screen and 3 lines. Only the T38G will support an expansion module. This series currently consists of five different phone models that are referred to as being Ultra-elegant. Upon closer inspection it is easy to see why as each of the models is highly customizable with an executive look and feel. 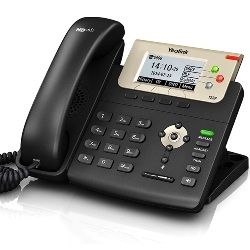 Model numbers are SIP-T40P, SIP-T41P, SIP-T41S, SIP-T42G, SIP-T46G, SIP-T48G and SIP-T48S with the later three models both having large color displays and have expansion module support. 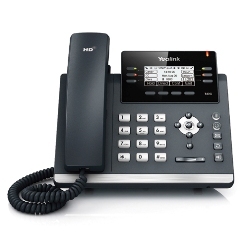 To compare all four series of Yealink IP phones, please visit the Comparison Chart on the Yealink website. The T5 series currently consists of five different phone models that are referred to as smart media phones. 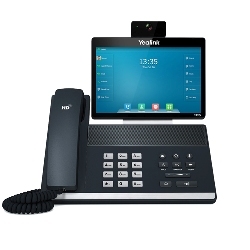 The T5 series are all based on the Android operating system (currently 5.1.1) which provides a really nice user interface and some productivity enhancing Apps such as Email, Web browser, Recorder and more. 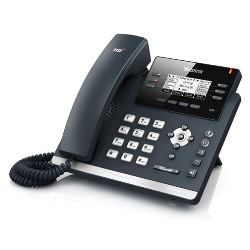 The current models are as follows: SIP-T52S, SIP-T54S, SIP-T56A, SIP-T58A and SIP-T58V (full HD video phone). The T5 series also has a new Expansion module accessory, the EXP50 complete with a full color display. 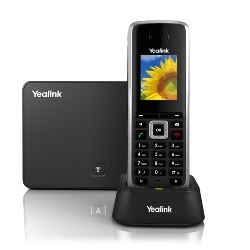 Yealink offers two video phones in the form of the recently released T49G and the older VP530. 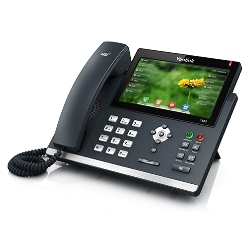 The T49G features a 8" 1280 x 800 capacitive (10 points) touch screen IPS LCD. 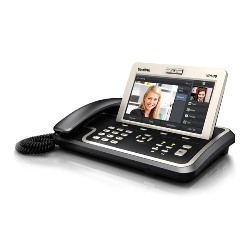 The VP530 model features a color 800x400, digital LCD, 7 inch, touch-screen display. 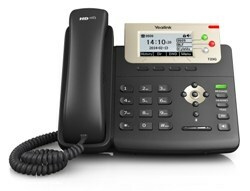 Yealink currently has 3 DECT phone system options, the W52P, W56P and W60P. This is a great option if you are looking for the cordless setup. 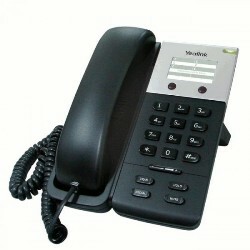 A single base station can handle up to 5 cordless phones, which can be bought seperately to grow your system as needed. 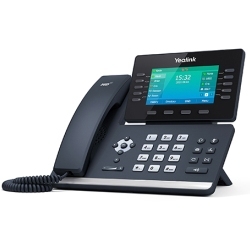 For more information on this device read our Yealink W60P review. The W60P has an impressive indoor range of 50 meters with this range extending up 300 meters when outdoors. 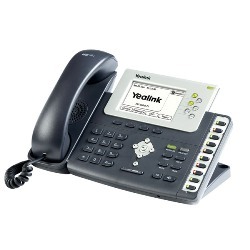 There is currently only one IP Conferencing phone available from Yealink, the CP860. The CP860 is an affordable option with an aesthetically pleasing diamond body design that will look stylish in any confrencing room. 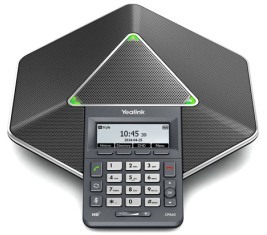 It is targeted at the small to medum sized room, with the 3-array microphone boasting voice pickup with a 10 feet radius and 360 degree coverage. Optima HD voice quality provides crystal clear making this a solution definately worth considering. 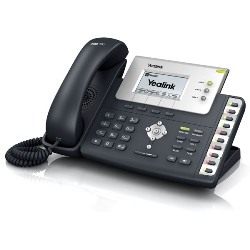 Read our Yealink CP860 Review to learn more.